Plan of Cemetery G 7000, N end [G 7101, G 7102, G 7210-7220, G 7212, G 7214, G 7215, G 7216]. By Alexander Floroff. 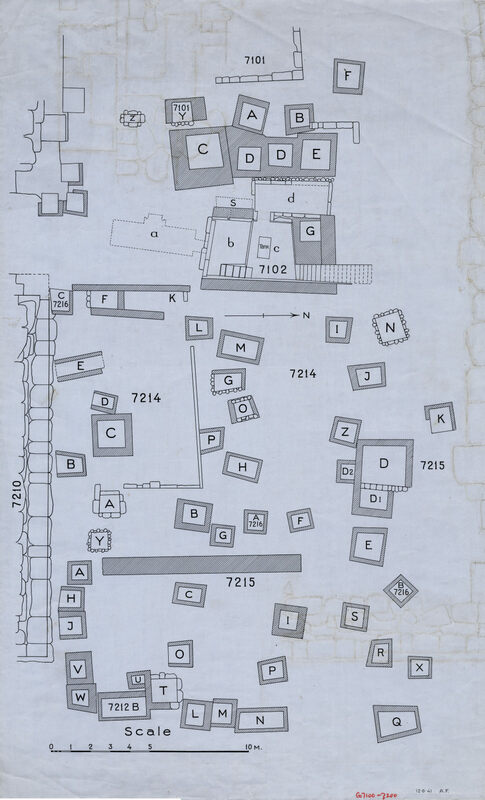 Description: Plan of Cemetery G 7000, N end [G 7101, G 7102, G 7210-7220, G 7212, G 7214, G 7215, G 7216]. By Alexander Floroff.